Mindshake celebrates it's 56th release since it's inception with a highly anticipated EP for a myriad of reasons. 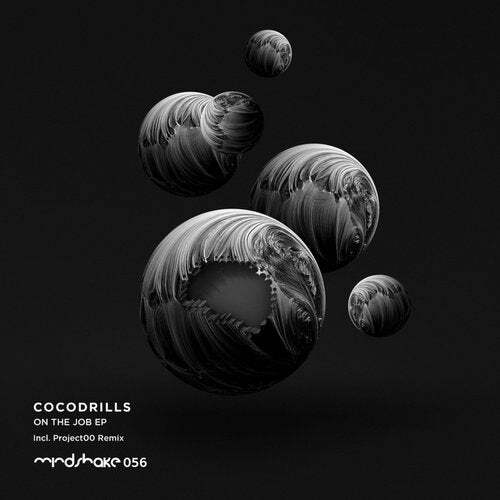 First it welcomes Miami based DJ and production duo, Cocodrills, to his discography with 3 extremely dancefloor heavy cuts... the title track of which has been one of the most talked about bombs in labelboss Paco Osuna's recent arsenal. Next, 'On The Job EP' features a Remix by the debut of a super special studio and performance partnership. Project00 is Paco Osuna and Fer BR. And we can't wait to see what this new project brings. On The Job (Original Mix) is huge and heavy. It's a true dancefloor bomb and has already received critical acclaim from many rotations in Paco Osuna and Cocodrills' sets in recent months. Big basslines, heavy jacky percussion, and breakdown/builds meant to blow doors off. The new Paco Osuna and Fer BR collaboration 'Project00' debuts themselves on Remix duties for 'On The Job' and delivers a successful Techno interpretation that almost perfectly embodies the sound influences equally of both veteran producers. You can hear Paco... and you can certainly hear Fer BR. Keeping the EP super floor-friendly is 'Let It Bang (Original Mix)'. with quick shifty percussion, melodic overtones and big synths in the back and foregrounds. Big-time party track. And rounding things out, is a killer house cut, 'Kicksville (Original Mix)', which brings sexiness to the EP. Hints of tribal percussion and a super delectable bassline are joined by a wicked synth hit to keep the track moving.